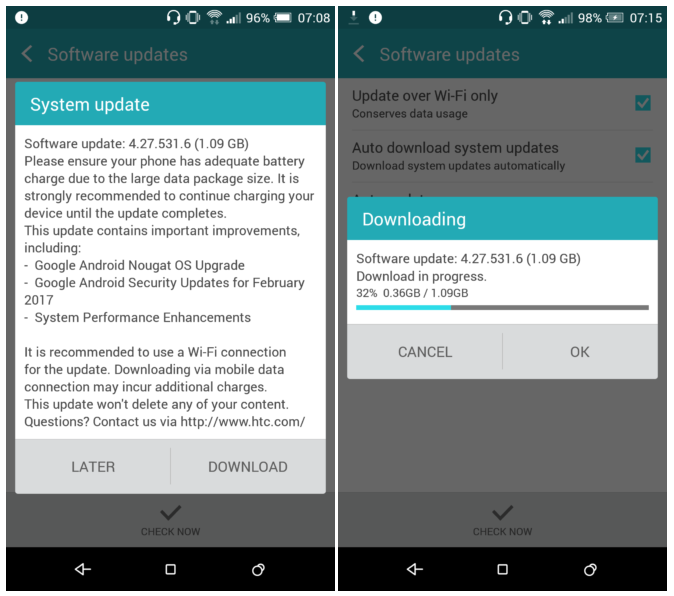 Carrier variants of the HTC One M9 have started receiving the Nougat update in the United States. The update - which is arriving as version 4.27.531.6 and weighs in at 1.09GB - is currently hitting units on T-Mobile's network. The February security patch and some performance improvements are also parts of the new firmware. The roll out comes just a week after it came to light that the update is being tested. One M9 units on other US networks are also expected to get the update soon. In case you missed it, unlocked units in the country have already received the update. i'm from srilanka using htc m9 t mobile but update not showing!